London's biggest private hire taxi fleet has switched entirely to Michelin tyres on the basis of achieving an average 8% better tyre life on its Galaxys and Mercedes S-Class. Addison Lee, is now putting its entire fleet of Galaxys, E-Class, S-Class and motorcycles on Michelin tyres after a three month trial on Galaxys and S-Class proved the premium rubber lasts longer. Until recently Addison Lee used mid-range tyres on its 4,700 vehicles, but after testing Michelin tyres on eight cars, including a Ford Galaxy and Mercedes-Benz S-Class, Fleet Manager Rob Daniels has implemented a full Michelin policy. Mr Daniels said: “We were getting at least eight per cent longer from the Michelins than any others – that’s a difference of 10,000 miles on our Galaxy and even more on the S-Class. “When you have got a fleet the size of ours covering the amount of miles we do every day, that difference will translate into significantly fewer tyre replacements each year. That will save us money, but it will also reduce the downtime to drivers of changing the tyres – meaning they can spend more time on the road. 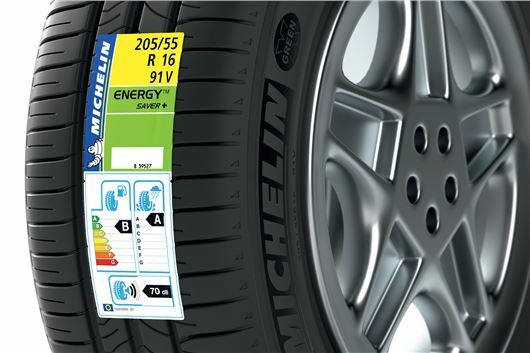 Michelin Key Account Manager Martin Thompson said: “The independent trials clearly demonstrated the longevity benefits Michelin tyres will bring to the business. Spend 100% more to save 8% - Where's the logic there? The energysaver + inspires no confidence in the wet and came last in an autoexpress tyre test. I only use Michelins and I've never had any issues... they're the best on the market, so I'm not surprised firms are turning to the.